We are now back to work with a vengeance – which means more posts, new wedding & travel content and exciting stories from around the world. I’m particularly excited to welcome our first guest blogger on Weddings Abroad: Bavani Srinu the founder of Ichiqoo, a travel website that promotes local experiences in Sri Lanka. 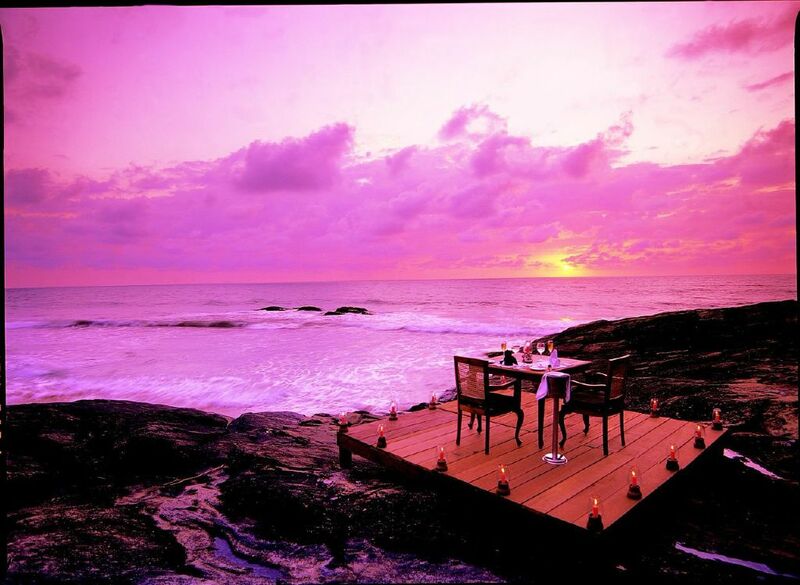 8 of the best places to get married in Sri Lanka. You’ve decided to take a big step. Congratulations. Planning a wedding is far more exciting than just saying ‘I do’. You need to think about your wedding dress, what the bridesmaids wear, the table linen, guest lists, flowers, caterers, photographer, videographer, entertainment, invitations, transportation, cake and so much more…. Buy hey, who doesn’t want a fairy tale wedding? Every bride wants to feel like a princess and rightfully so. While we understand that planning a wedding can be truly daunting, but it needn’t be…here we’ll show you the best places to get married in Sri Lanka and leave the stress to the experts. Perched on a rocky top overlooking the Indian Ocean, this hotel offers 16 wedding packages to choose from that include wedding cake, champagne, flowers and catering. Why worry about planning when it can be left to the experts? Getting married at a place that has a history of over 200 years? YES! This luxury beachfront hotel brings in all the drama a wedding needs. 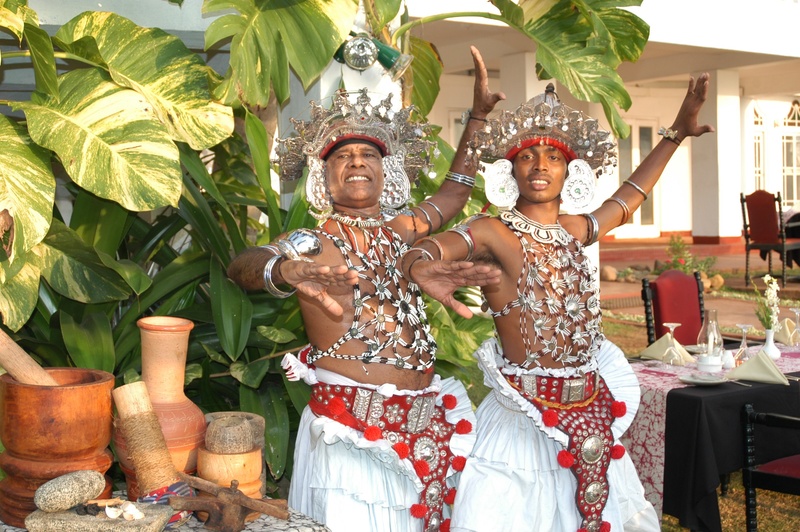 Drummers, dancers, music, well-decorated stage, vintage cars, champagne and more. This beachfront property has wedding planners who would carefully plan the most important day of your life to make it memorable for you and your partner. Get married with the waves touching your toes and wind gushing through your hair. They offer four wedding packages that include flower girls, wedding arch, bouquet, champagne, décor and more. 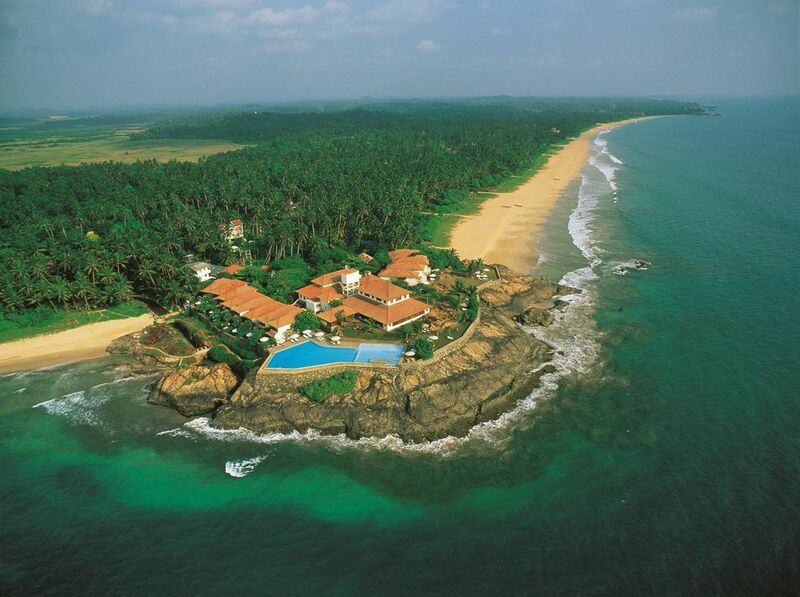 Another beachfront property, Jetwing Beach is part of the Jetwing Group, a well-renowned chain with hotels across different cities in Sri Lanka. They offer three wedding packages that include a romantic candle light dinner for the couple. They also provide options to include fireworks, live music, and spa packages if it is of interest to you. 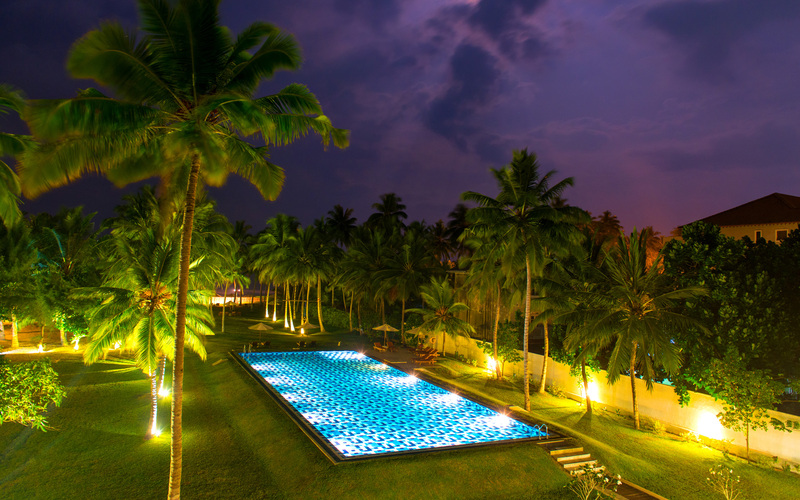 This beach resort is part of the Asia Leisure group and is strategically located 45 minutes away from Colombo. Guest transportation can be less of a hassle and that is one worry taken care of. You will be spoilt for choice with the option to get married at the poolside, ballroom or by the beach! Check out this spectacular setting! This group caters to everyone’s need. 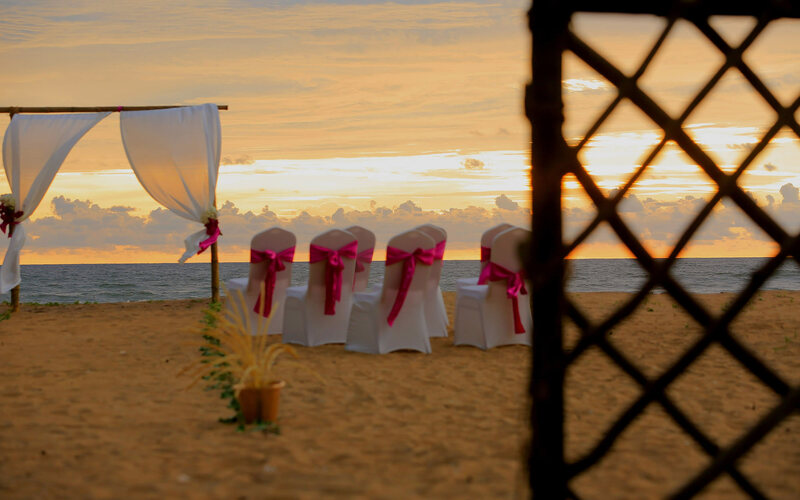 Be it a beach wedding, in a hill country or by a lake, Amaya Resorts, and Spa has premium hotels and resorts at stunning locations in Sri Lanka to host your wedding celebration. This post was written by Bavani Srinu, Founder of Ichiqoo, a travel website that promotes local and curated experiences in Sri Lanka. 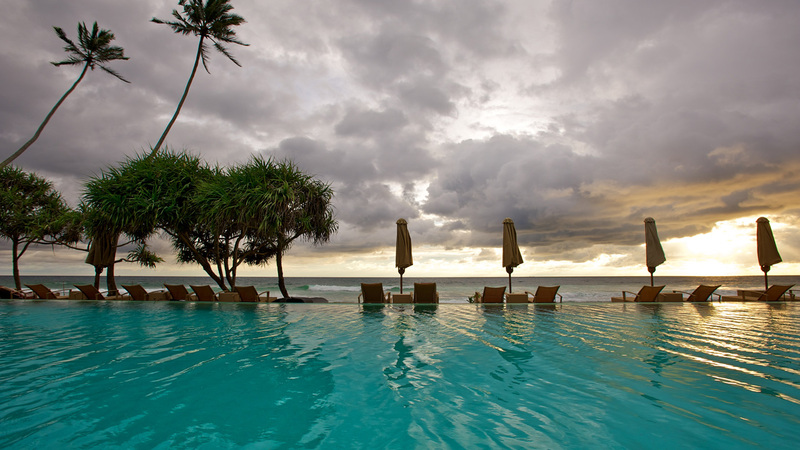 Ichiqoo helps travelers plan their holiday to Sri Lanka like a pro. This is not a sponsored post and the choices of hotels are personal with no commercial benefit.